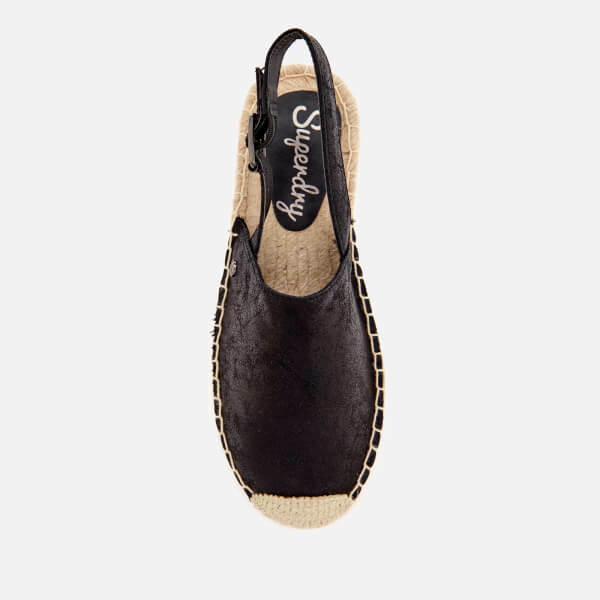 Women’s ‘Evelyn’ espadrilles from Superdry. 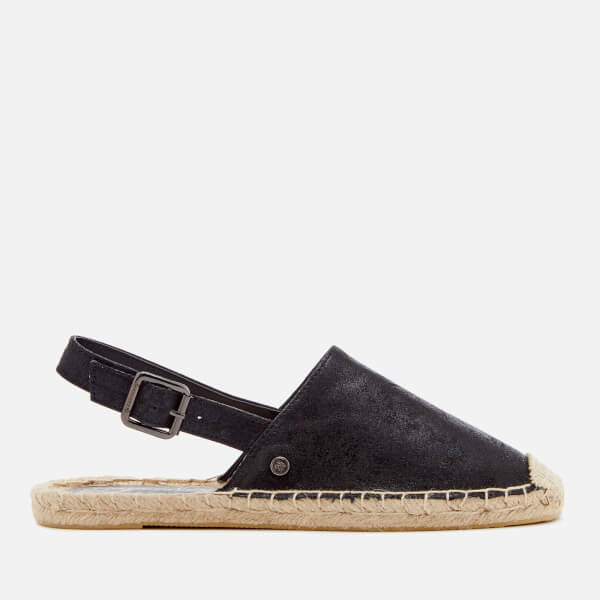 Crafted from a smooth, lightweight material with a metallic black finish, the flats comprise a slip-on design with an adjustable buckled ankle strap. 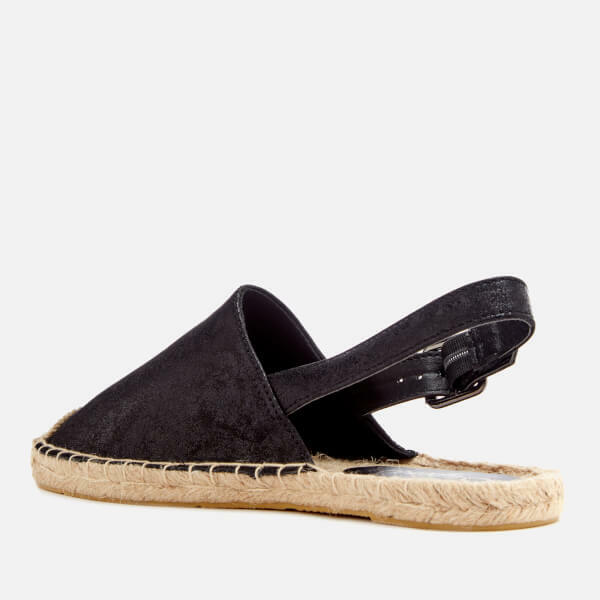 The slim sole features classic woven rope detailing and a textured underside for maximum grip and stability. A metal logo badge to the side completes the design. Upper: Polyurethane. Lining: Cotton/Polyurethane. 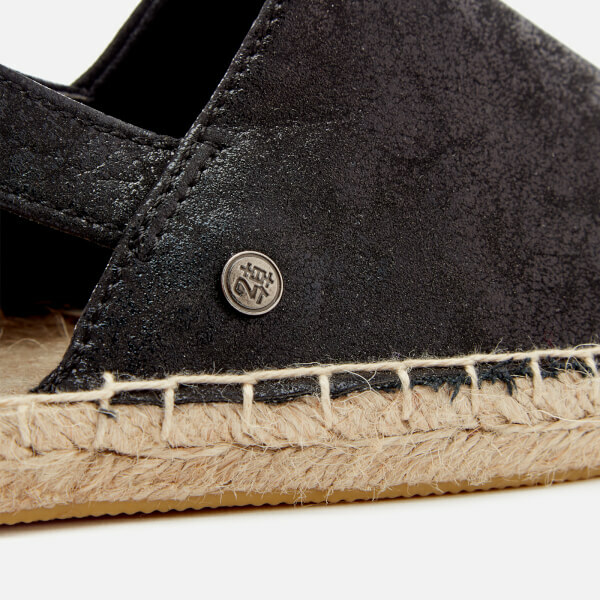 Sole: Hemp/Rubber.